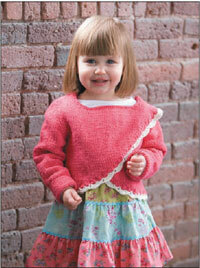 This cute little girl’s wrap/pullover is made from Classic Elite’s Princess yarn. The pattern is free. Sounds yummy doesn’t it. The pattern is free, too, from Classic Elite, here.